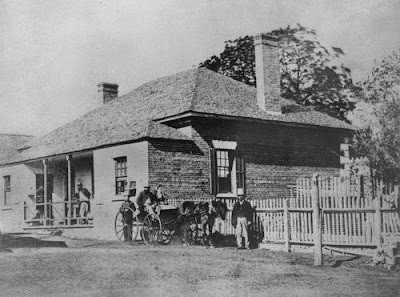 The first Brisbane Hospital was in George St, where it remained until 1867. This is a photo of the residence of the medical officer for the hospital, Dr Barton. His residence was in the hospital grounds. The hospital in those days depended on voluntary contributions to remain afloat, and the scarcity of these funds didn't allow for the expansion of facilities that was needed in the growing state of Queensland. 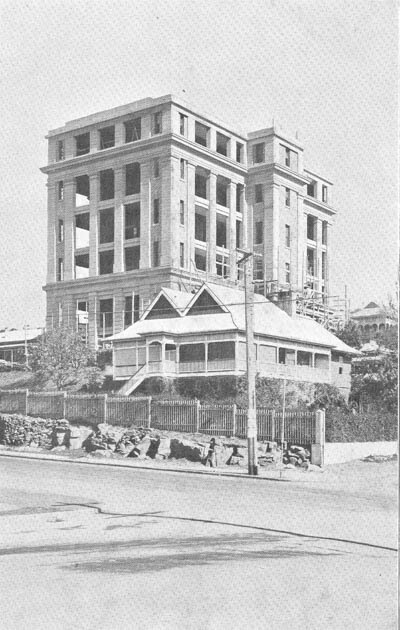 The state government took over the running of the hospital in 1917, following a financial crisis in the hospital's administration. 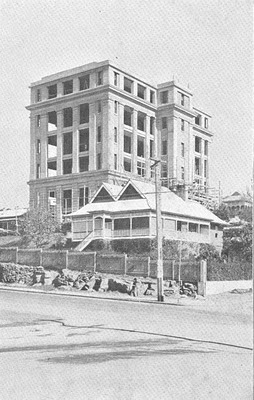 The Hospitals Act of 1923 and the formation of the Brisbane and South Coasts Hospital Board in 1924 allowed the hospital to continue to provide much needed health services to the people of the state. The huge area of land allowed the hospital to expand, and since the early twentieth century the hospital has been enlarged significantly. Some of the progress can be seen in the photos below. The last photo above was taken from across Bowen Bridge Rd in Bowen Park in 1954, showing an already large hospital presence. 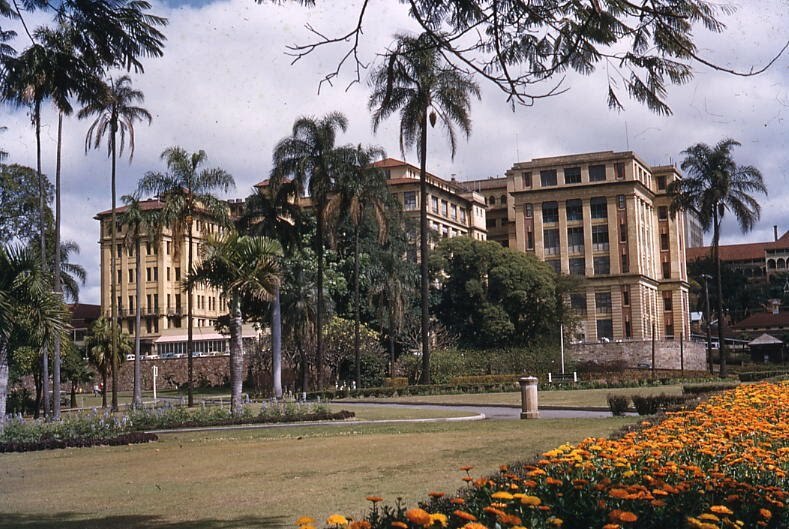 At the end of the 1930s, this was the largest hospital in the country, and still growing. Compare it to the photo that I took recently (below), and you will see the enormous change that has taken place in the ensuing fifty years. The hospital complex now boasts auditoriums and theatres. It has its own integrated bus station, as well as a bicycle station to encourage commuters to use it as a transport hub. Clicking on the link to the Google Map will give you an aerial view of this huge complex.